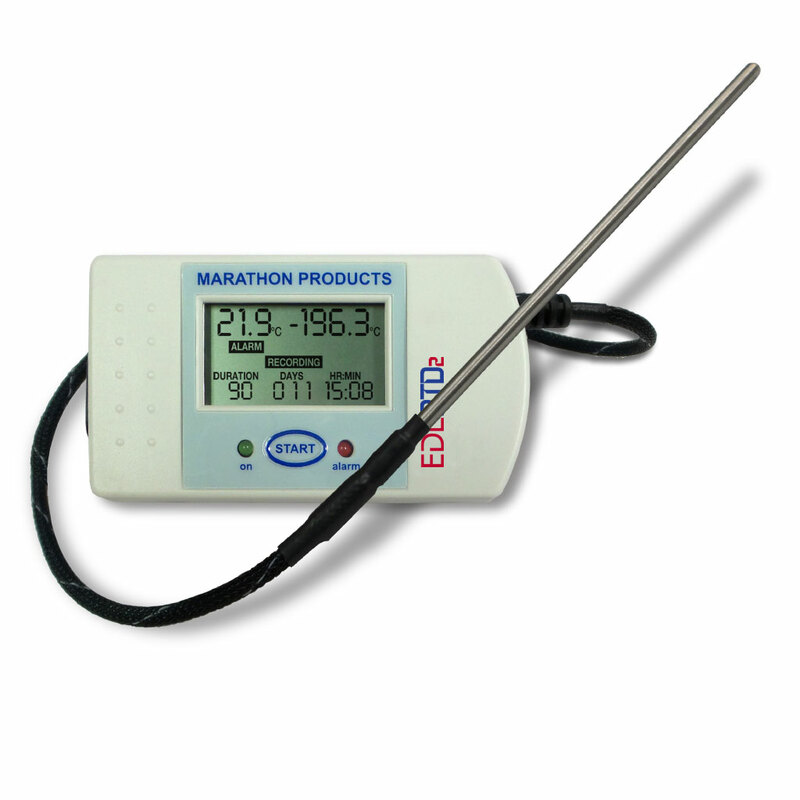 EDL-4S - Marathon Products, Inc. 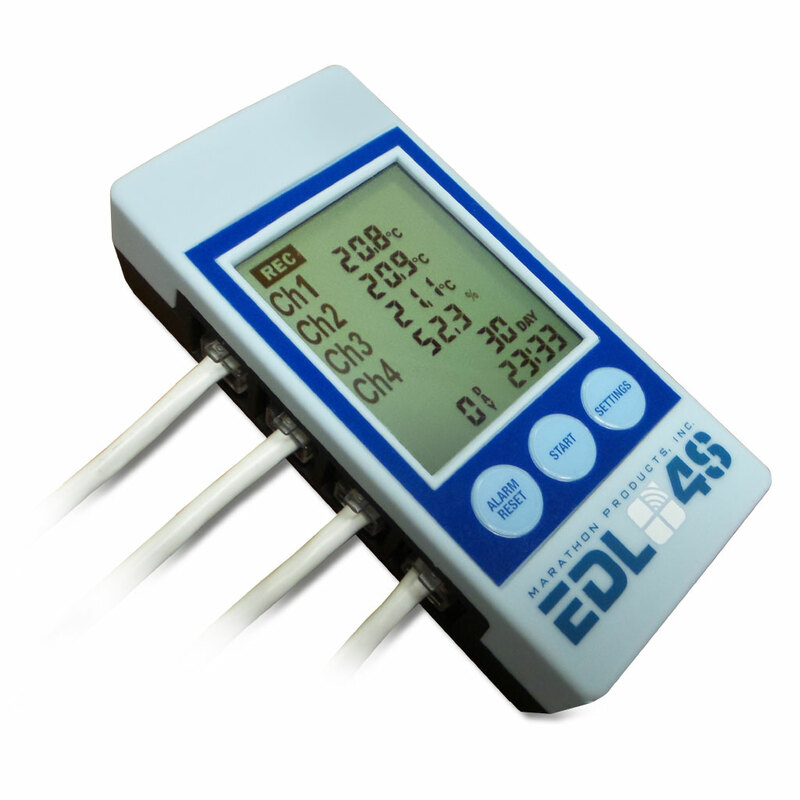 Centralized Monitoring: The EDL-4S connects directly to the computer via a USB port for setup and downloading data. The device can also be remotely monitored via WiFi when attached to the separate WiFi Reader Station (coming soon). The Reader Station may be battery powered or AC powered, your choice. Statistics and mathematical functions: In addition to temperature and humidity, this compact 4 channel LCD data logger calculates min/max. over alarm conditions and much more. Alarms and battery backup: Alarm settings can be set up quickly in the MaxiThermal-X software based on temperature and RH. Likewise, alarm settings can be set up to trigger email notifications (coming soon). This device contains one AA lithium battery for ample power. The WiFi reader is powered by two rechargeable CR18650 batteries or with an AC adapter, which can power the logger and also charge the batteries in the reader..
Large, easy-to-read display: The EDL-4S is the ideal instrument for documenting, controlling, and managing critical environmental conditions graphically, statistically and in real time. 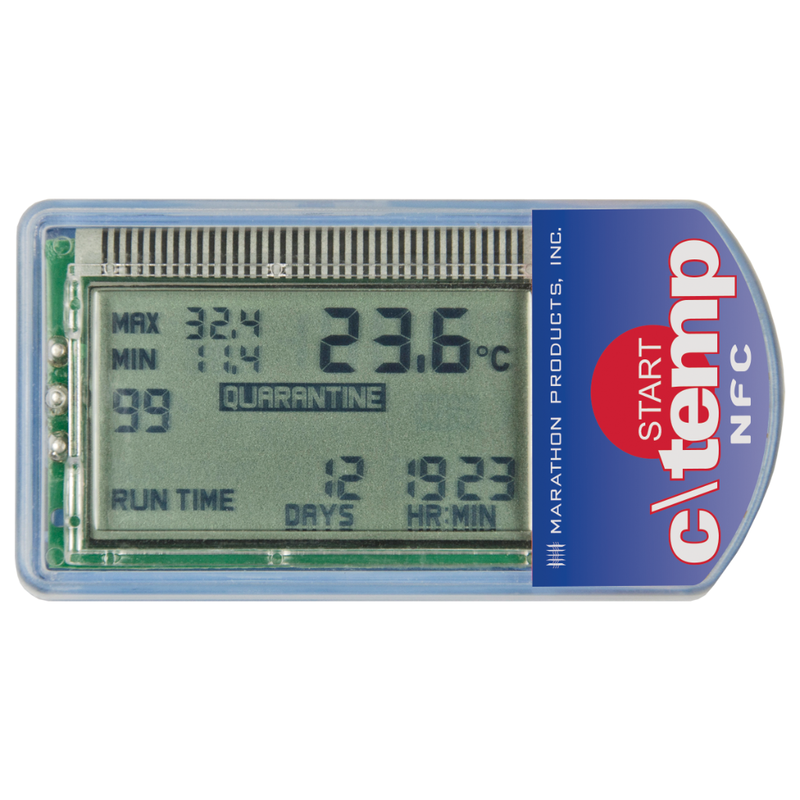 View high/low data and all alarm conditions in real time on the LCD display. Logger Category, Description Category 1. Multi use. 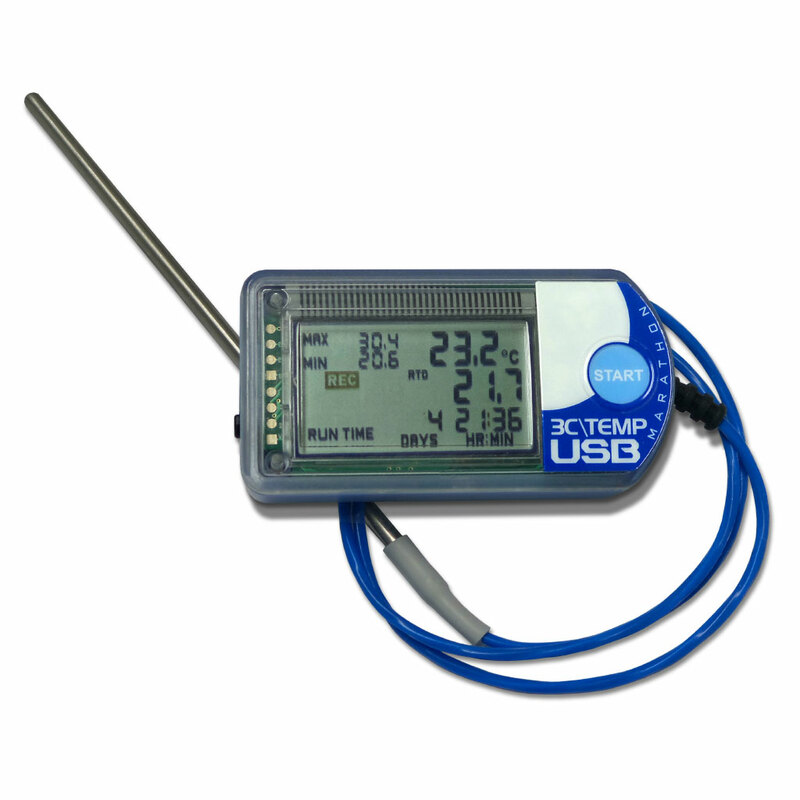 4 channel data logger that allows for a variety of modular sensors to be attached. Memory/Storage 128k for 4 sensors. Automatic data memory size adjustment. Humidity Sensor: Capacitive Cell, user-replaceable. 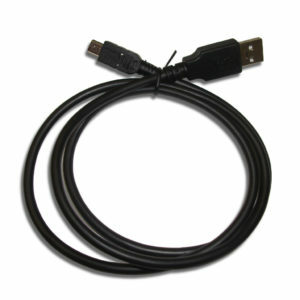 CO2 Sensor: Infrared 0 to 30,000 PPM. Accuracy ±30 PPM, 5%. Alarm Notifications On screen text. Email, and SMS via email-to-text when connected to WiFi (coming soon!) See Alarms for more information. Internal Firmware, Internal Clock Accuracy Internal Clock, Start/Stop time, Interval, User description, Alarm values, Recording status, Firmware version, Serial number, Model. Clock Accuracy is better than 2 minutes per month on average at normal temperatures (-29°C to +72°C). Power Source, Battery Life and Replacement Logger will run on AC power when combined with WiFi module and AC adapter (optional acessories). One LiSoCl2 3.6v 1.2 Ah Battery powers the logger as a standalone device. 1 year operating life and 3 year shelf life. WiFi module also has recharcheable backup battery pack with two CR18650 3.7v lithium ion batteries. See Battery Performance page for more information. 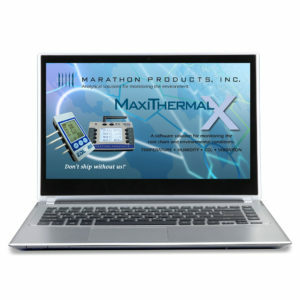 MaxiThermal-X Software allows you to view up to 8 multiple traces at one time, enables you to transfer the recorded information in your loggers to your computer, and to view, print and generate a report of the measurement data. The graphic representations are a simple X – Y plot of time versus temperature with unlimited zoom, view temperature data points on the graph, view total elapsed time, or the exact time when it was recorded. The graph and all data points (date, time and temperature) can be printed, as well as the ability to add a user note to the file for including information pertinent to that particular plot.